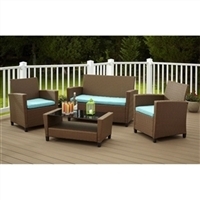 Garden Patio Blog: Wicker - Rattan Whats the difference? Wicker is the art of making woven products a variety of cane-like materials. The word wicker is believed to be of Scandinavian origin. Wicker is traditionally made from the material of plant origin, such as bamboo, reed, willow, and rattan, and now synthetic fibers are also used. 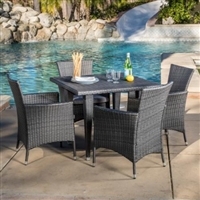 Wicker is sturdy and light, making it ideal for patio furniture. Wicker made from reed and swamp grasses, dates as far back as ancient Egypt. Middle-class could only afford items like small tables, while wealthy pharaohs a wider variety, including chairs, wig boxes, chests, and baskets. Wicker found used on the battlefield, in shields. Its popularity passed from ancient Egypt and Persia to ancient Rome. By the 16th and 17th centuries, wicker was quite common in European countries like Spain, Portugal, and England. During the Age of Exploration, wicker got a boost from sea traders returning from southwest Asia with rattan a species of palm. The rattan stem can be separated so the softer inner core can be used as wicker which is stronger than traditional European materials. Wicker was used outdoors as well as indoors because it was adaptable to many styles, resisted harsh weather and was inexpensive. The 19th century brought immense popularity for wicker in Europe, England, and North America. In the United States, Cyrus Wakefield began constructing rattan furniture in the 1850s. Wicker is still a popular material. Antique wicker products are highly sought after by collectors. Reproductions of furniture and accent pieces are also sold for indoor and outdoor use. Natural wicker is well known for its strength and durability, as well as the high level of beauty and comfort that an expert craftsperson can create. Materials used can be any part of a plant, such as the cores of cane or rattan stalks, or whole thicknesses of plants, as with willow switches. Other popular materials include reed and bamboo. Natural wicker requires maintenance to keep it in good shape. Synthetic materials or a combination of can be used for wicker. On benches, chairs, stools the material is woven into the frame. On smaller pieces, a frame is not needed. Paper-wrapped high tensile wire, plastic, and resin are synthetic types of wicker, which is often preferred for outdoor use and the framing material includes aluminum. Rattan is the name for roughly 600 species of climbing palms is associated with the characteristics of its flexible woody stem, derived typically from a secondary growth, makes rattan a liana rather than a true wood. Rattans are extensively used for making baskets and furniture. When cut into sections, rattan can be used as wood to make furniture. Rattan accepts paints and stains like many other kinds of wood, so it is available in many colors, and it can be worked into many styles. Moreover, the inner core can be separated and worked into wicker. 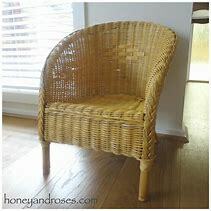 Several materials used in furniture making come from raw rattan the skin is usually peeled off and use as weaving material. Rattan is lightweight, durable, suitable for outdoor use, and flexible which makes it a good material for furniture making. 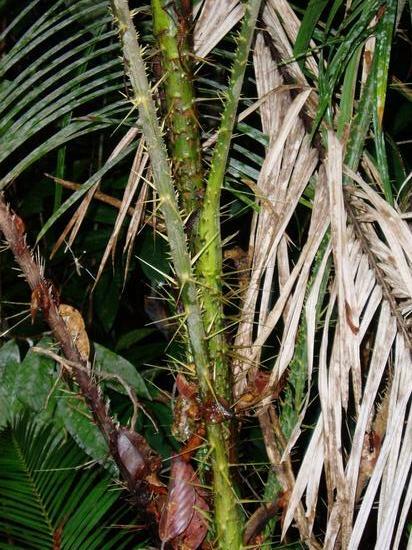 In bamboo, as in other grasses, the internodal regions of the stem are usually hollow and the vascular bundles in the cross-section are scattered throughout the stem instead of in a cylindrical arrangement. The bamboo is cut into strips for weaving.